Business description - Focus Suits Solutions is a qualitative fieldwork agency, having presence across 18 major countries in Asia, Middle East and Latin America. The company has team of project managers who handled the project execution of different fieldwork across various industries like healthcare, automobiles, IT and telecommunications, FMCG, Retail etc. The company provides insights to its clients and assists them in making strategic decisions in their respective lines of business. The company is professionally managed, with a Board of Directors comprising two independent directors and three executive directors who are experienced in the business of the company. The team of project managers has, over the years, built considerable expertise in project execution of different fieldwork across various industries like healthcare, automobiles, IT and telecommunications, FMCG, Retail etc. Majestic Market Research Support Services Limited is the promoter of Focus Suits Solutions. Sandip Bhatia and Naina Krishna Murthy were the initial subscribers to the Memorandum of Association of the company. Subsequently the shares of Sandip Bhatia and Naina Krishna Murthy were transferred to Majestic Market Research Support Services Limited on August 11, 2016. 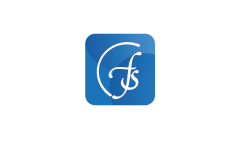 Focus Suits Solutions IPO allotment status is now available on Bigshare Services' website. Click on this link to get allotment status. Yes, it is good because of MRSS. What an IPO that was. Did not have confidence in the company at IPO but I picked up after listing and it has performed much better than A graders for me. THOSE WHO INVESTED IN MRSS IPO IN JUNE 2015 WILL REMEMBER THIS MULTIBAGGER. OFFERED AT 13 RS. NOW 300 RS. FOCUS COMES UNDER MRSS GROUP. Parent company had made money earlier; trying luck second time ! This one is interesting. Good profit margins and Majestic as the promoter.